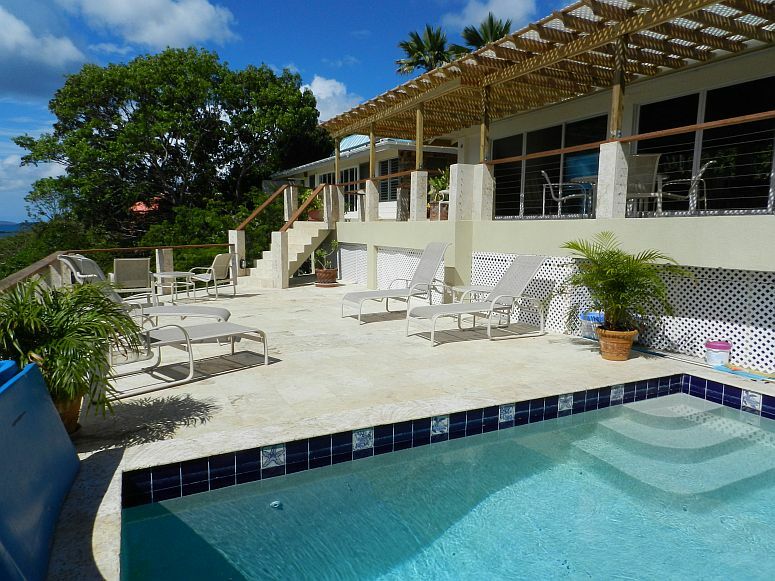 Located in Great Cruz Bay this Cliffside waterfront villa has a lovely pool, views without end, large fully air-conditioned great room, multiple dining options, abundant decks, 4 master suites with a/c. Two bedrooms upstairs and two bedrooms downstairs, all surrounded by lovely native gardens. 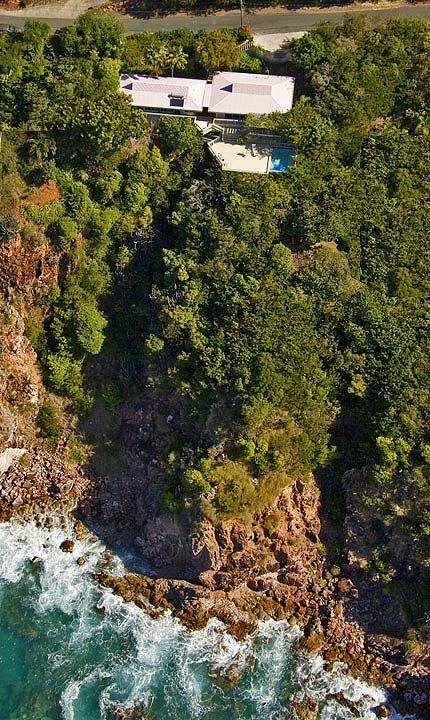 The house is extremely private. The whole house has WIFI high-speed internet available. 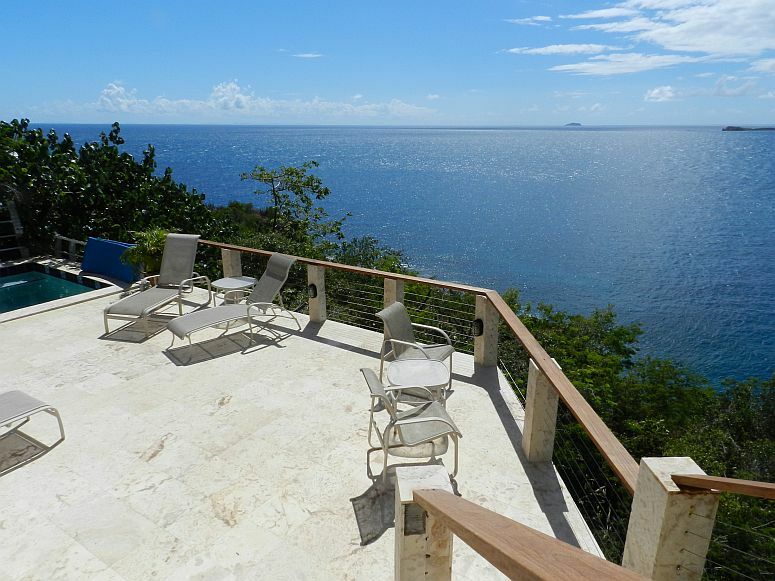 The Pool deck has plenty of lounging space and expansive views. 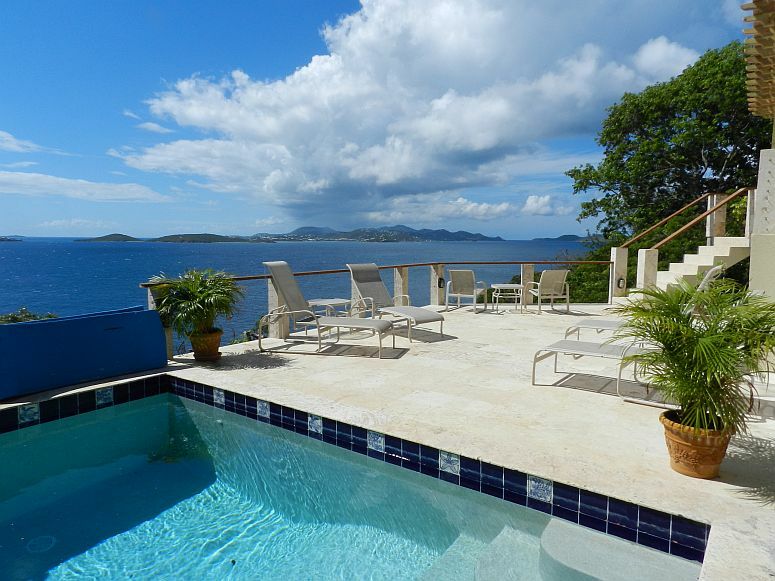 The pool is 15′ X 6′ with a neat sitting shelf for lounging with coffee or cocktails. 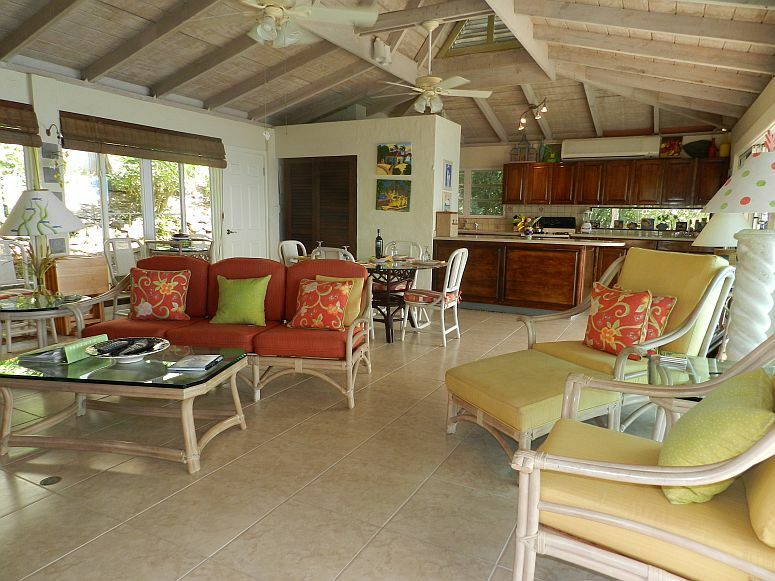 The open-air great room of SERENITY spills onto the multi-level deck area. The Living area sports comfortable furnishings. 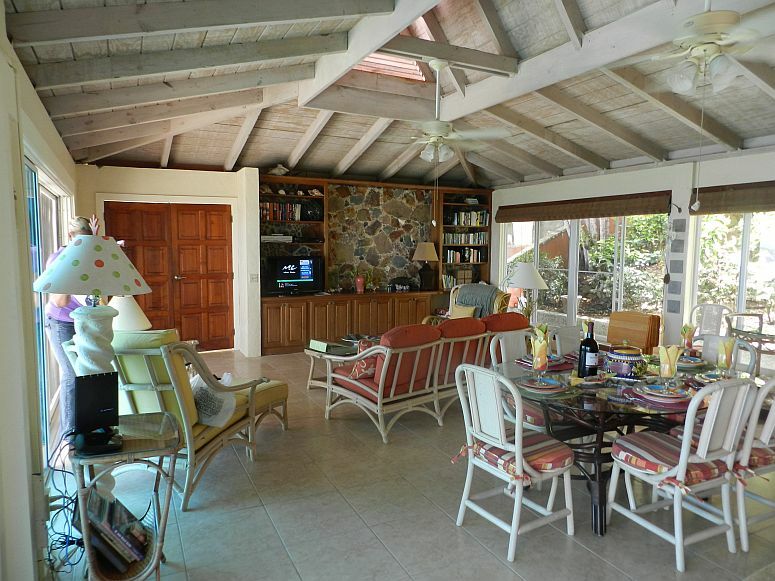 The outdoor, covered, upper dining area has Weber BBQ and sun shades, with easy access just off the kitchen. The great room offers a full entertainment area with DVD/Cable TV and stereo as well as an indoor dining area that seats 6. 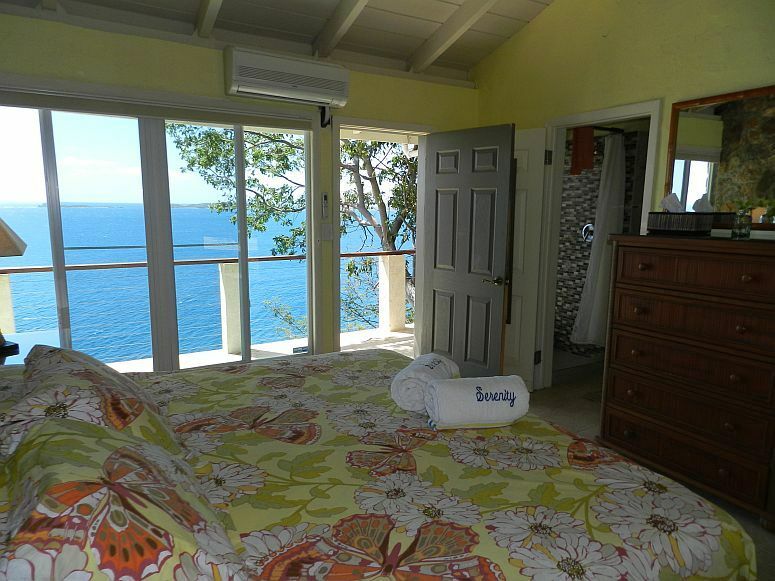 You have the option of enjoying the natural trade winds or a/c. 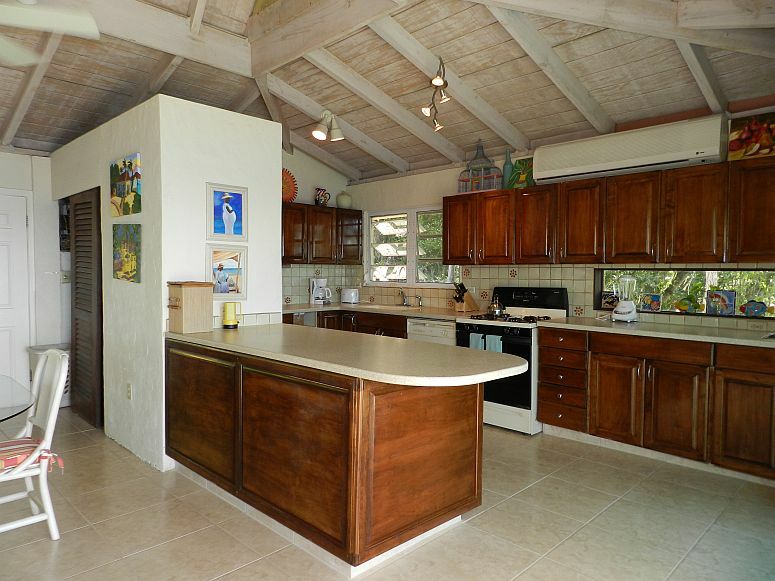 The kitchen is spacious and incredibly well equipped with an island between it and the great room encouraging relaxation and conversation. We rent to only one group at any one time. 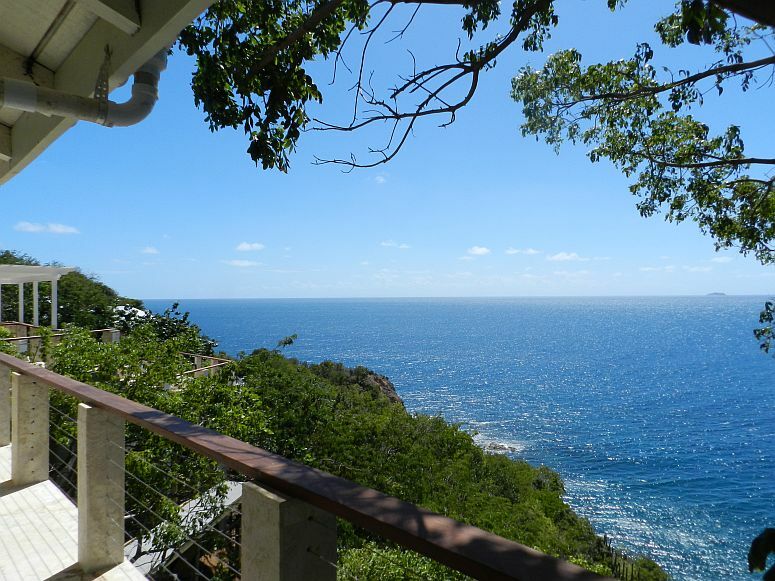 The two upper master king suites of this four bedroom villa open out onto the deck and enjoy views of both the sea and gardens. 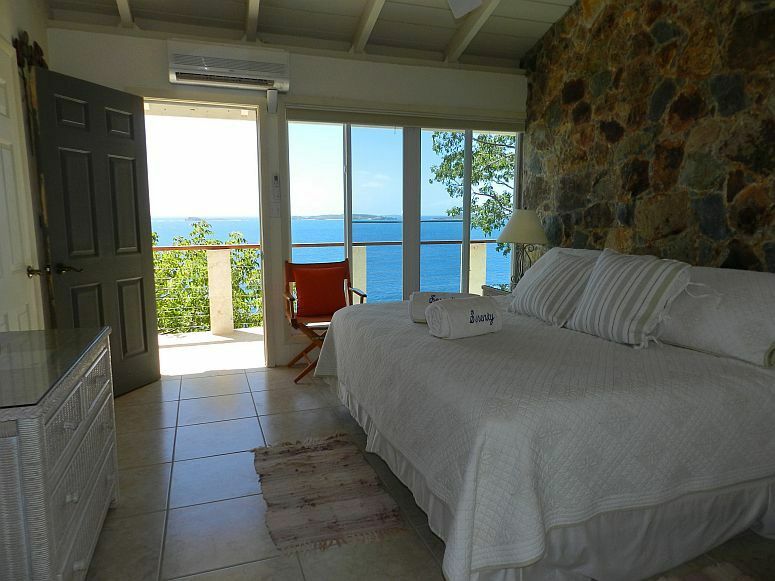 Each suite has its own bath and air conditioning. There is also a private, outdoor shower. 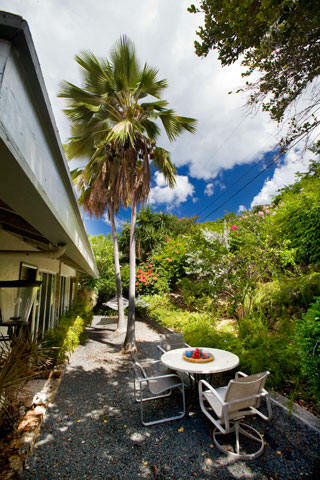 Two bedrooms upstairs and two bedrooms downstairs, all surrounded by lovely native gardens. The house is extremely private. 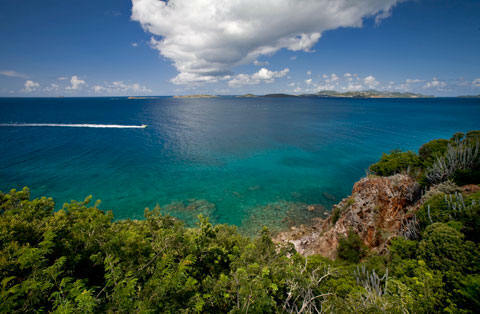 Serenity Villa sits high on the cliffside of Maria Bluff (the peninsula between Great Cruz Bay and Chocolate Hole). 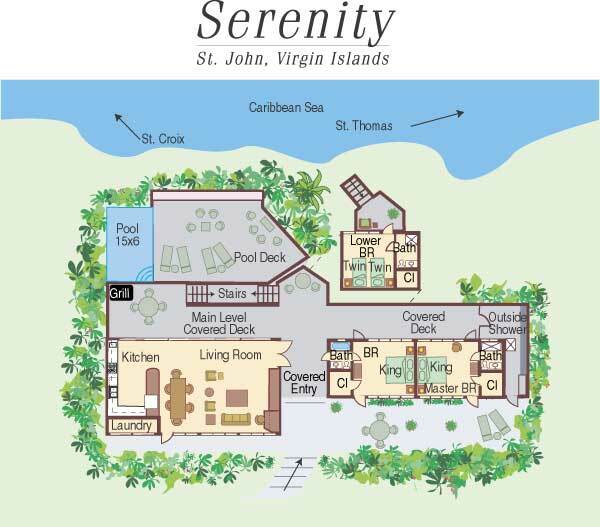 Convenient to Cruz Bay, yet located in one of St. John’s loveliest residential neighborhoods Serenity is island living at its best.